If you are owed money, and the value of your claim is £10,000 or less, you may be able take a case to the small claims court. However, financial value is not the only factor that determines whether a case will be handled as a small claim. The small claims court is not a separate court. It is also known as the small claims track and is one of three different ways - or tracks - in which civil cases may be handled, according to their financial value and legal complexity. If your case turns out to be more complicated than you thought, it could end up being dealt with on one of the other tracks. If this happens there is a risk of incurring substantial legal costs. Claims by residential tenants against their landlords for disrepair where the estimated costs of the repairs and / or damages are limited to £1000. Small claims cases should be easier, cheaper and quicker to deal with than other sorts of civil cases. However, there is no guarantee that you will win. It is vital to ensure that all other methods of resolving a dispute have been exhausted before going to court. Write to the other side, try to talk to them, see if they will agree to try mediation - do whatever can be done to resolve the problem. Going to court should always be the last resort. Small claims cases are started by filling in a Claim Form. The Claim Form sets out the facts of the case and states how much is owed, together with any costs or interest being claimed. A Claim Form (Form N1) can be downloaded from Her Majesty's Courts and Tribunal Service website hmctsformfinder.justice.gov.uk or it may be possible to pick up a copy from your local County Court. The accompanying guidance notes should be followed carefully. Completed Claim Forms are sent to the County Court Money Claims Centre. In either event a fee will have to be paid, unless an exemption applies. The case will then be "issued" and given a formal case number. Once the claim has been issued, you will be sent a notice confirming this and telling you how long the defendant has to reply. If the defendant defends the Claim the court will send out directions questionnaires which must be completed and returned. These questionnaires give the court an indication of the complexity of the case, how long the hearing is likely to last and whether the court needs to give the parties any special instructions (or directions). 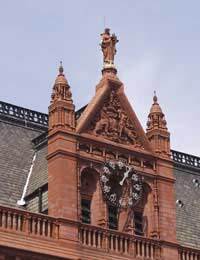 The answers given may also help the court establish whether the case is suitable to be heard in the small claims court. If a case is complicated or needs further clarification a judge might list it for a preliminary or directions hearing. This can be a chance to work out precisely what the dispute is or what needs to be done to prepare for the trial. The judge may also encourage the parties to try mediation and, if they agree, refer the case to the Small Claims Mediation Service. How Much Will it Cost me to Take Someone to The Small Claims Court? Starting the claim - this varies depending on the value of the claim and how it is started. Allocation of the case - this is paid when the court formally allocates a defended claim to one of the three tracks. If a small claims case has a value of £1500 or more the fee will be £40. The final hearing - the claimant will have to pay a further fee which, again, varies according to the value of the Claim. The expenses incurred or loss of earnings of any witnesses who attend the final hearing, limited to £90 per day. The costs of any expert witnesses for which the court gave permission, limited to £750. Costs on the small claims track are usually limited to these types of expenses - unless the judge decides that the losing party has behaved unreasonably. If so, the judge could order the losing party to pay all or some of the actual costs of bringing or defending the case. Small claims cases are dealt with far more informally than other types of cases and the strict rules of evidence do not apply. The judge is likely to take a pragmatic approach - adopting the procedure to suit the parties and facts in each case. The case will usually be heard by a District Judge who is addressed as either Sir or Madam. Hearings are often held in the judge's room - or chambers - rather than a large courtroom. The parties will mostly remain seated during the hearing - although witnesses may have to stand whilst taking the oath or giving oral evidence. Parties may be represented by either a lawyer or a lay representative - such as a friend or colleague. A party must attend the hearing if they are represented by a lay person. However, there is no obligation on a party to be represented and the system is designed to be accessible to people who represent themselves. The general rule is that the person who brings a case must prove it. The judge will have to be satisfied that the claimant has proved their case "on the balance of probabilities". This means that, for the claimant to win, the judge will have to be satisfied that their version of events is more likely than not to be correct. You can help the judge understand your case by making sure you present it in a clear and chronological manner. No matter how well you think you know your case, it is a good idea to prepare notes of what you want to say in the hearing and to put your documents into the right order. Documents - such as contracts, invoices, letters, photographs, etc. Physical objects - for example, an allegedly defective toaster. The opinion of an expert with relevant specialist knowledge. However, in small claims cases an expert's opinion can only be relied upon if the court has given permission. Parties are entitled to see the other side's evidence in advance of the trial and the judge will also want a copy of the evidence in advance of the hearing. It is rarely sensible to keep a piece of evidence secret, in the hope of ambushing your opponent with it at the trial. It could result in the case being adjourned - and additional costs having to be paid. What Happens if a Party Does Not Attend The Hearing? A party who does not wish to attend a small claims trial should write to the court, at least 7 days before the final hearing, asking the judge to decide the case based on their documents. they have a "reasonable prospect of success" in the claim. Parties cannot apply in this way to set aside a decision made after all parties agreed to the case being decided without a hearing. In some cases a party's failure to attend the final hearing could result in the judge ordering them to pay additional costs to the other side. Small claims cases should be resolved within six months but can take much longer. Cases may be delayed for a number of reasons including: the failure of parties to comply with directions; overburdened courts; and, unexpected absences. Conversely, if no defence is filed - or if the claim is admitted - it may be possible to get judgment against the defendant within a matter of weeks. Attachment of Earnings Order (Form N337) - if the defendant is employed this would require his employer to deduct a regular sum from the defendant's salary to be paid directly towards the judgment debt. Charging Order (Form N379) - this would place a charge for the value of the judgment on property owned by the defendant. If the property is sold the defendant would have to pay the debt back. You could apply for an Order for Sale forcing the defendant to sell but there is no guarantee the court would grant such an order. Third Party Debt Order (Form N349) - if the defendant has money in a bank account, or is owed money by someone else, this type of order would ensure that the money is paid directly to you to satisfy the judgment. Warrant of Execution (Form N323) - bailiffs could seize goods from the defendant to the value of the judgment debt. If you are not sure of the defendant's circumstances you could apply for them to attend court to give information using either Form N316 if the defendant is an individual or N316A if it is a company. A note of caution - there is no point throwing good money after bad. If the defendant simply cannot afford to pay, it may be pointless spending further money on enforcement. Hi, we have recently booked a holiday through on online agent & have someone who is now not willing to pay the remaining balance. We have contacted the company who have advised that even if the person wants to cancel, the full amount is still liable to be paid. I passed this message onto the person wishing to cancel to no avail. We have tried to sell the place but the name change cost is almost as much as the remaining balance.Is this something that I would be able to take them to the small claims court for to pay the remaining balance of the holiday which they have committed to? @Smithy1986 - this sounds a bit suspicious to me. Late completions are thought to be beyond anyone's control, particularly if there is a long chain. Usually there is a clause via the conveyancers/estate agents that should deal with this. It sounds a bit crazy how it has got this far, as court proceedings should be considered as a last resort. Legal costs are not generally recoverable ‘win or lose’ within the small claims court, so whatever you do spend on legal representation is considered dead money. I'd get some legal advice through free organisations such as the Citizens Advice Bureau, as this sound as though it needs a fresh pair of eyes, something is definitely amiss. We completed on our purchase in August 2017 for our new home. Unfortunately the buyer of our property had issues with their solicitors so we did not complete on the day specified and instead completed the following day. Our solicitor received a claim from the people we bought our home from for additional removal fees (£900). He wrote back to their solicitors to say we were not responsible and that everything was done to complete the next day. The person liable was the bottom of the chain. We were not aware that this conversation was happening between the solicitors and not consulted but have now been taken to the small claims court for the money. It’s really stressful as our solicitor is now quoting us £1000-£3000 to represent us! Any advice anyone can give would be grateful. Can we pay it and then begin a claim against our buyer? Do we have a leg stand on to dispute this? Will we be issued a CCJ if we dispute it and lose? The Money Advice Service link here, should tell you all you need to know regarding your legal rights. My mum wants to claim against a holiday company - as her room on a family holiday was located in another block, a 10 mi ute walk from the rest of the family group - the holiday was 7 nights - she complained in resort and another part of the family was mobed to her block after 3 nights - she wants to claim for stress caused to her ' she was 72 at the time - she has cone up with the value of £300 - does this sound like a suitable claim for the scc? Hi, I'm taking a decorator to the small claims court but I put her name instead of her name and trading as. She is an individual trader and the company isn't limited. At what point (if any) should I or do I have to apply to change her name? It would be £100 which would be more expensive than just doing another claim. Thanks! @stacey - do you have an alternative place where the papers can be served i.e at the person's palce of work? If you issue a claim against someone and it is returned by post office saying "not known at this address" but I know they are still living there, how do i proceed? I am taking someone to court for poor workmanship. what happens if he doesn't turn up to court ? will I incur more fees to the court again to get him to court? if I win and he doesn't pay me what would be my next step and will this cost me more again OR WILL the courts just pursue this for me and put a ccj against him? The court can proceed with the hearing in the other person's absence. If for any reason the court cannot proceed then it can penalise that personby ordering them to pay the other party's costs of the hearing. It all depends on the reasons for non attandence. It is difficult to anticipate what the court may decide. I am taking someone to court for poor workmanship.what happens if he doesn't turn up to court ? will I incur more fees to the court again to get him to court? if I win and he doesn't pay me what would be my next step and will this cost me more again OR WILL the courts just pursue this for me and put a ccj against him? I was wondering if I could take my ex to small claims court, he left me when I was 5 months pregnant. Left me to provide everything for the baby up to date. He only pays £22 per week. Was wondering if I can clim costs back 50% of what I have paid. Plus he's dragged me through court this year with even more costs incurred. Can I claim these all back? I need to take a developer to small claims court for refusing to fix damages to my property. Developer has ltd company with £100 shares. As the Party Wall award mentioned developer being required to make good any damage, can he be held personally liable as opposed to claiming against company. Secondly, could a court force developer to pay me from profits when selling the property? Thanks. my van was brushed by the rear bompper, and the lady that brushed it stopped, looked at the dent, took a photo of it and zoomed off. But before she zoomed off a man on a bike appeared all of a sudden and they exchanged some words in a foreign language and she zoomed off. this bike man now introduced himself as the boy friend and lives with her. we had an argument but later he accepted to let her deal with it. We exchanged numbers and i have called him twice to speak with her but to no avail. I have fix my van with £200 and she has not done anything since then. what to i do please?it was a small dent but £200 is a lot of money. Hi, please could someone advise, I took a firm of architects to the Small Claims court and won the judgement of the forwarding of all the supposed work they had done and £1000 damages.This judgement was agreed by both parties, however when the order came through no mention of the work being sent to us was made only the damages, which this firm paid by cheque on the last day of the order. I wrote to the courts immediatelyadvising them the order was wrong, but having spoken the the helpline i have received conflicting opinions; first one that the defendants would still only have up to the last day of the order to send the work even through it was omitted from the order as they agreed in front of the judge to undertake this action, and as so would incur a ccj if they didn't send it; the second opinion was that the defendant was only carrying out the order and would have time to send the work if the order was amended. The order was raised on the 24 June Please help!! Not sure where to start with this or whether small claims is right route for me. I am an art director starting a new business and recently pulled together a team of models, make up, photographer for a fashion shoot. I found the photographer on a Creative Network site. She replied to a post I put up asking for free collaborations, i.e. we all work together creatively and all have portfolio shots at the end of it. The shoot happened and she has now gone quiet on giving me the shots. I have been trying to get them for 3 weeks now. She has not replied to any texts/emails for the last week. I sent her an email last night saying how unhappy I was about the whole situation as she has basically relayed on the agreement to give us all of the shots. How do I stand with this legally to get her to hand the shots over ? The court ruled a case in my fever and sent me a confirmation letter in 2013. I was miss informed that i can only wait until the defendant pays me and there was nothing else i could do. Eventually i misplaced the confirmation letter from court and forgot about it as i thought the person would never give me any money. I have now learnt that i can get my money through other organizations, but i dont have any paperwork to prove that judgement was in my favour. Is it possible to obtain a new confirmation letter from the court especially after three years. I received a document from the Land register which was passed onto me by my son who is staying in our house which is being sold to pay the debt of to the creditor ...very ... We are in France at the moment while the house sells...My husband has a terminal illness and we are staying with some friends to help him forget the stress that this case has put on us...It is really hard as the creditor has already got charge on our home...He has also been warned off by the police for punching my husband in the stomach ,which he was put in prison for...We never ever did owe him any Money in the first ... He had a Lawyer...But we could not afford one ...So he won the case unfairly even though I had 4 WitnessesThe lawyer had my case e chucked out before trial and Croydon Court also lost all my paperwork with the defence, which went missing in chambers.... We are both Pensioner's and we really are trying hard to get the Creditor paid off...All we can do is sell the house to raise the founds. Even though we are selling the house he has now started a Bankruptcy case against me without any notice...But we have said my sons will be paying the creditor any way...Now he wants more money for applying for Bankruptcy... Where is the Justice in this...? In January 2016 a friend & I booked to go on holiday together, paying around £400.00 each. At the end of February 2016 I found out that I was very unexpectedly pregnant (having been told some fifteen years earlier that it was unlikely that I would ever conceive). I told my friend that it may be unwise for me to travel abroad given my age (44) and the fact that I would be 28 weeks' pregnant at the time of the holiday. I was happy for her to have my part of the trip for no money and take another friend. She has now began sending nasty text messages saying that as I have broken my part of 'the deal' and that she doesn't want to go with anyone else, she is going to make a small claim against me. What should I do? I have since told her that if the holiday means so much then I will go with her but she still wants to take me to court. This is stressing me out no end. I have tried calling her but she won't answer. Please help. On a practical level, some airlines will not let you fly towards the end of your pregnancy - therefore you may wish to check with the airline for their policy on this. Also after week 28 of pregnancy, the airline may ask for a letter from your doctor or midwife confirming your due date, and that you aren't at risk of complications. With regards to your friend's position, I can only suggest you seek legal advice, as while agreeing to go on holiday with someone is a verbal contract and if that person loses money as a result of you breaking the contract, then she may have a small chance of winning. However, this is less likely if circumstances such as your pregancy could not be helped. In January 2016 a friend & I booked to go on holiday together, paying around £400.00 each. At the end of February 2016 I found out that I was very unexpectedly pregnant (having been told some fifteen years earlier that it was unlikely that I would ever conceive). I told my friend that it may be unwise for me to travel abroad given my age (44) and the fact that I would be 28 weeks' pregnant at the time of the holiday. I was happy for her to have my part of the trip for no money and take another friend. She has now began sending nasty text messages saying that as I have broken my part of 'the deal'and that she doesn't want to go with anyone else, she is going to make a small claim against me. What should I do? I have since told her that if the holiday means so much then I will go with her but she still wants to take me to court. This is stressing me out no end. I have tried calling her but she won't answer. Please help. I can only suggest you take legal advice regarding this as we cannot advise on whether you should dispute the claim or not, as this is outside our remit.